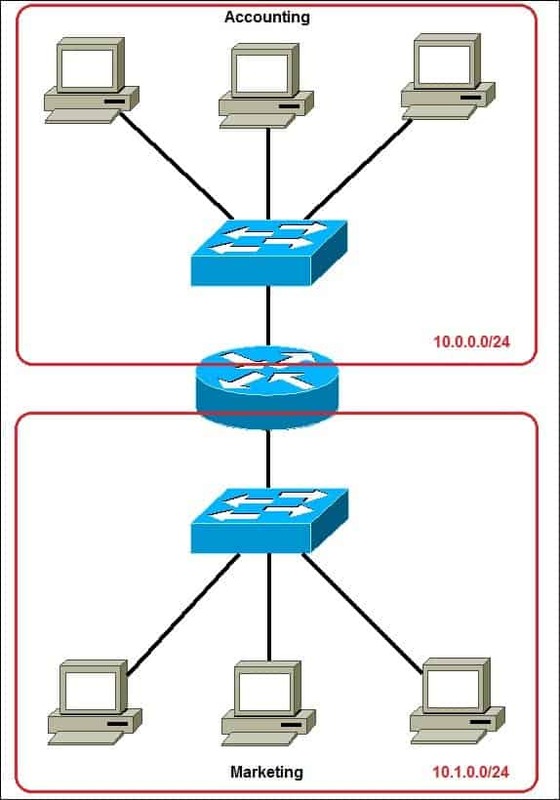 Subnetting is the practice of dividing a network into two or more smaller networks. It increases routing efficiency, enhances the security of the network and reduces the size of the broadcast domain. a single broadcast domain – all hosts are in the same broadcast domain. A broadcast sent by any device on the network will be processed by all hosts. network security – each device can reach any other device on the subnet, which can present security problems. For example, a server containing sensitive information would be in the same network as an ordinary end user workstation. organizational problems – in a large networks, different departments are usually grouped into different subnets. For example, you can group all devices from the Accounting department in the same subnet and then give access to sensitive financial data only to hosts from that subnet. 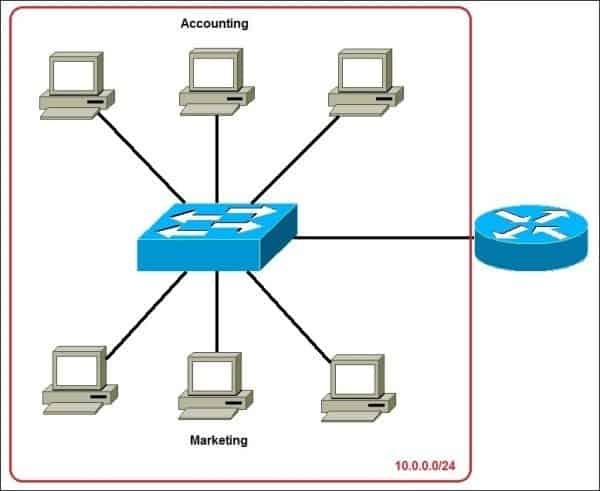 Now, two subnets were created for different departments: 10.0.0.0/24 for Accounting and 10.1.0.0/24 for Marketing. Devices in each subnet are now in a different broadcast domain.